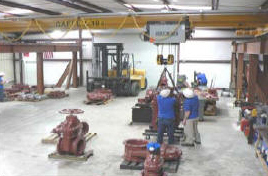 J&S Valve, Inc. is the fastest growing waterworks gate valve provider in America. The expansive growth of J&S is attributed to offering a quality product at a competitive price. J&S began providing valves 2” – 12”, then 2”-24”, and now provides 2” thru 108”. 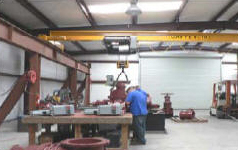 J&S has two plants, one in Ennis, Texas 30 miles South of Dallas and one in Huffman, Texas, northeast of Houston. J&S builds thick wall ductile iron Resilient Seated Gate Valves, coated with an extra thick fusion bonded epoxy (holiday free), EPDM encapsulated ductile iron disc, a large diameter stainless steel stem to resist breaking and stainless steel fasteners. Other materials offered when specified. J&S Valve has combined the best design features and materials of construction in order to upgrade the industry standards. We at J&S Valve exceed the industry standards in order to provide a more reliable valve that requires less maintenance and lasts longer. Visit our website at www.jandsvalve.com to learn more about our products. Since inception, J & S Valve Inc. has supplied AWWA Resilient and Metal Seated Gate Valves on many projects around the world. Our commitment to quality assures that each of our valued business partners will realize the same high level of customer satisfaction that we enjoy. We make every effort to eliminate all non-conformances from our process and to deliver every product order promptly. While any company can make a one-time promise of better quality, lower prices or faster deliveries, J&S Valve, Inc. demonstrates superior quality, competitive prices and prompt deliveries over the long term. While we are very proud of our past accomplishments, J&S Valve, Inc. recognizes that history alone does not guarantee future success. We attempt to anticipate market trends and plan to meet the implied new demands. J & S Valve on continuous improvement requires constant evaluation of our processes to achieve technology advantages, quality enhancements and cost reductions that can be passed to our valued customers. 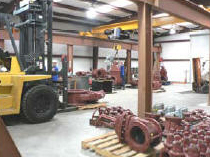 While other gate valve providers only offer production solutions for mature applications, J & S Valve offers solutions for applications through all stages of product development. We take pride in our "customer friendly" approach. Office automation makes any of today's business transactions seem increasingly routine, J & S Valve believes that our clients deserve a personal touch.